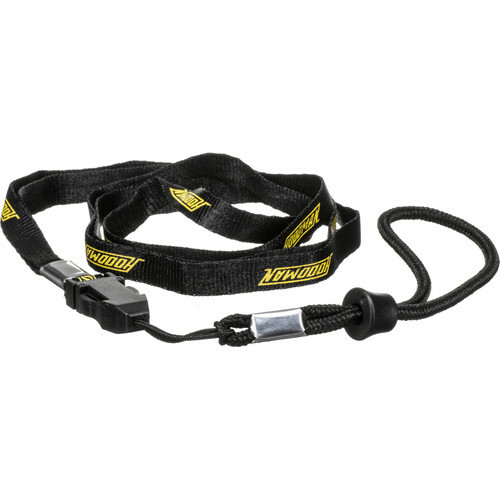 Whether the one supplied with your Hoodman HoodLoupe has been broken or lost, or you want to keep a spare at the ready, this Replacement Lanyard is a good accessory to have around. Simply tie the rope securely to the side lug of the loupe, and then slip the strap around your neck. The lanyard helps prevent drops, while also giving you a convenient, hands-free way to hold and transport the loupe when you're not shooting. It features a quick release buckle that's easily disengaged by squeezing the sides with your thumb and forefinger. Box Dimensions (LxWxH) 3.0 x 2.5 x 0.6"